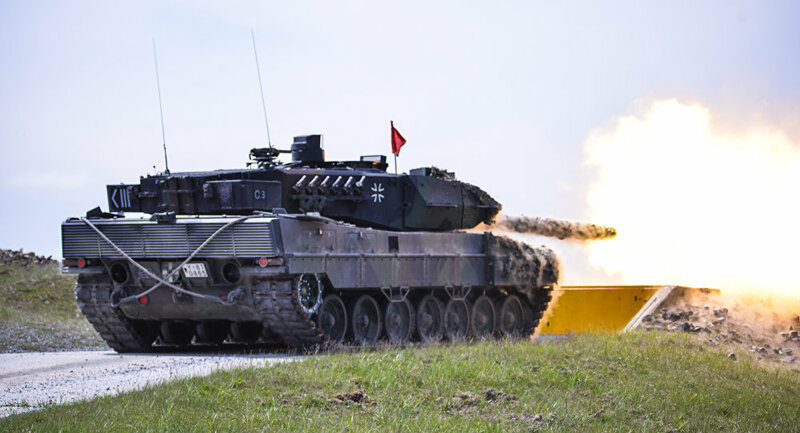 The German Bundeswehr is short of funds to buy an advanced tactical missile defense system and an additional number of Leopard-2 tanks, according to an internal Defense Ministry document obtained by the daily newspaper Bild. Defense Minister Ursula von der Leyen earlier planned the purchase of 100 Leopard-2 tanks amid the military conflict in eastern Ukraine. Citing the dangers of a hybrid warfare and hacking attacks, Bundeswehr only recently began to form the new IT structure within the army, which now, however, faces the possibility of shutting down before ever starting to work. Germany will also fall short of meeting NATO’s target of ramping defense budgets up to 2 percent of GDP, which was agreed on during the Wales summit in 2014. “Starting from 2018 the share of our defense spending relative to the GDP will again be down to the 2014 level,” the document said. Overall, the 2017 defense budget is slated to increase by 1.7 billion euros, but a promised pay raise to servicemen will eat up most of the allotted funds. According to the authors of the country’s 2017 budget the mid-term deficit is expected to reach a hefty 7 billion euros. Meanwhile, according to German defense planners’ estimates, the Bundeswehr will need 3.6 billion euros to implement the military reforms slated for next year. Ursula von der Leyen has already managed to obtain government approval to raise the country’s defense spending before 2020 to 39.2 billion euros from 34.3 now. However, the planned hike requires the consent of the Bundestag.